No one wants plumbing problems. Having a pipe that is leaking and increases your water bill or the risk of flooding your residence, is not a happy scenario. Neither is being left without hot water or drain issues. When the residence has a significant age, these problems will start to appear, due to extended usage of pipes and equipment. So what do you do in this case? Keep the phone number of a reliable plumber on the first page of your agenda. A serious plumber will be able to respond to your problems and solve them in the shortest period possible. Thus, you avoid any other severe damages. Having a damaged pipe in your house means additional costs. You may face the need to replace your floors, as the humidity excess will deteriorate them. The walls can also suffer because of water leakages, so besides spending money on repairing your plumbing, you will also have to redecorate. Issues regarding your water system in your residence should not be ignored. So make sure you find a reliable plumber before all these things happen. Ask for recommendations from your friends or family, and see if they had a pleasant experience with any plumbers in the area. 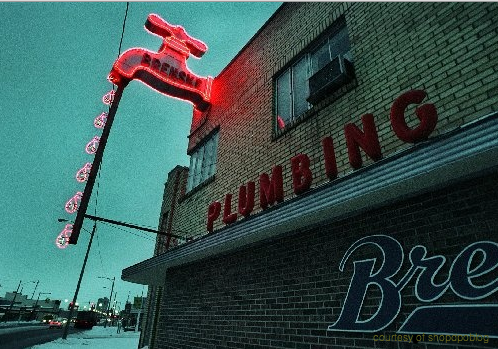 Also, you can search on the Internet for local plumbing services in Elgin, and check out the reviews left by customers of the plumbing company’s webpage. Also, look for plumbers that can offer you complete services. High sump pump maintenance or repairing processes for the water heater is also something of your concern. You probably don’t want to have a plumber for every problem that might appear. The best way to go through these matters is to have a single, but reliable, plumber, with whom you can communicate at all time and who knows what previous works have been done on your property. You might be in the situation where you live in an old building. In this case, problems may appear when the draining system gets clogged by the gathered debris. Or when an old pipe is starting to cave in. A good plumber will always know about these matters and find a rapid way of solving your problem. It may not be that difficult to find a good plumber. You just need to pay attention to the quality of services he is willing to offer. You want to make sure your money is well spent, and you won’t have plumbing issues soon after the plumber took care if your issue. Follow the feedback that is given by former customers and the reputation an individual plumber or plumbing company manage to create in the area. These might give you a piece of mind when you’ll have to choose your plumber.